Burbank, CA – On January 10, 2015, the Martial Arts History Museum is proud to host another ribbon-cutting event that will unveil their new and permanent Anime Section in the museum. With an evening filled with celebrities and icons, Astroboy, Dragon Ball Z, Samurai Champloo and even Pikachu will have a place in history in the West. 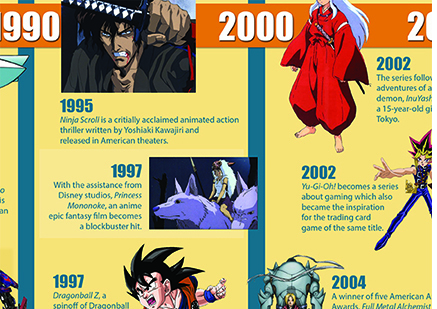 Anime is considered a multi-billion dollar industry in both Japan and America. It has been the focal point of television programs, comic books, movies and even comic conventions including San Diego's Comic Con which draws in over 130,000 visitors each year. Anime has also made significant strides in bringing awareness to Kung Fu culture, unique forms of weaponry and many more of the traditional and spiritual aspects of the martial arts. Now you may ask, what's the difference between Japanese and American animations? American cartoons are designed primarily for children while Japanese cartoons focus on both a young and an adult audience which are watched by millions. Anime has made a huge impact on the American landscape which can be noted in such Nickelodeon productions of Avatar: The Last Airbender and Korra, which is a Western creation which uses an Anime style. In fact, in 2001, Spirit Away was the first Anime to win an Oscar. The ribbon cutting is a free event and will take place at 6 pm to 9 pm. It is part of our Media Evening Open House in which a number of different unveiling will occur that same evening. An RSVP to mahmuseum@gmail.com is required for admittance. The Martial Arts History Museum is located at 2319 W. Magnolia Blvd., Burbank, CA 91506. MAmuseum.com. The museum is a Non-Profit 501(c)(3) organization and donations are encouraged.